Click the button below to add the WEGO-CABIN-MMP-MS4024PAE 780 Watt Solar Package with a Magnum 4KW 24VDC 120/240VAC Pure Sine Wave Inverter to your wish list. 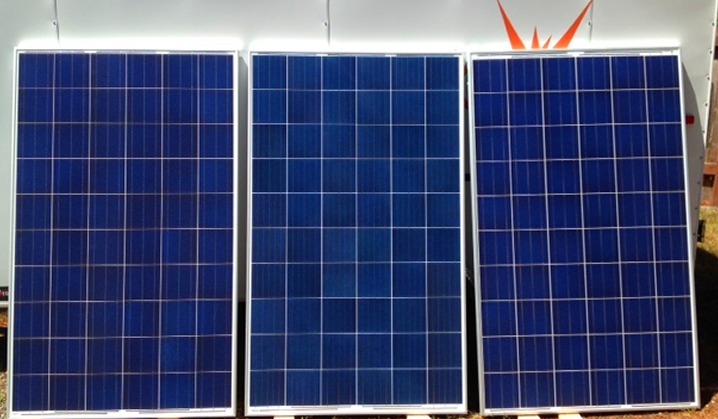 3 x 260 watts of solar panels for a total 780 Watts. of MPPT solar panel charge control harvest more power from your solar array. A Magnum MS 4024 PAE pure sine wave inverter feeds clean 120/240 VAC power into your electrical panel to power your loads. Installation is made easy with a solar mounting system and a pre-assembled inverte E-Panel. Produces from 1 to 2 kWh per day, depending on weather conditions. The system may be expanded by adding more solar modules in the future. Mounting the solar panel on the roof included a Fast Racking system that hold the solar panels in place and giving a low profile look. This kit includes the correct length rails and all necessary hardware to mount three 60 cell solar panels to an Ashphalt roof. 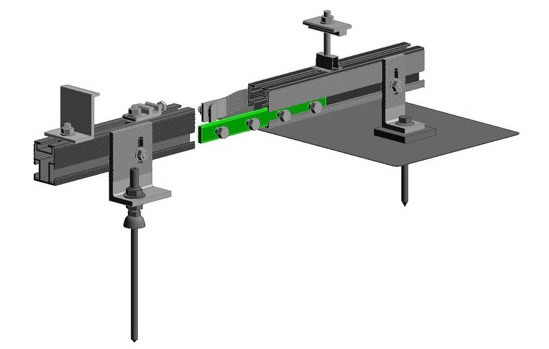 We also have mounting feet for metal roofs, just let us know and we can customize a system ! Also include is a MidNite Solar disconnecting box that the solar panels connect to from the roof along with a breaker and connector. 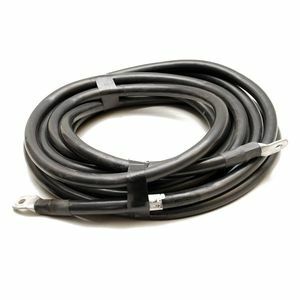 Cable from the solar combiner box down to the inverter system is not provided in this kit but if you let us know your distance we can help you out with that. 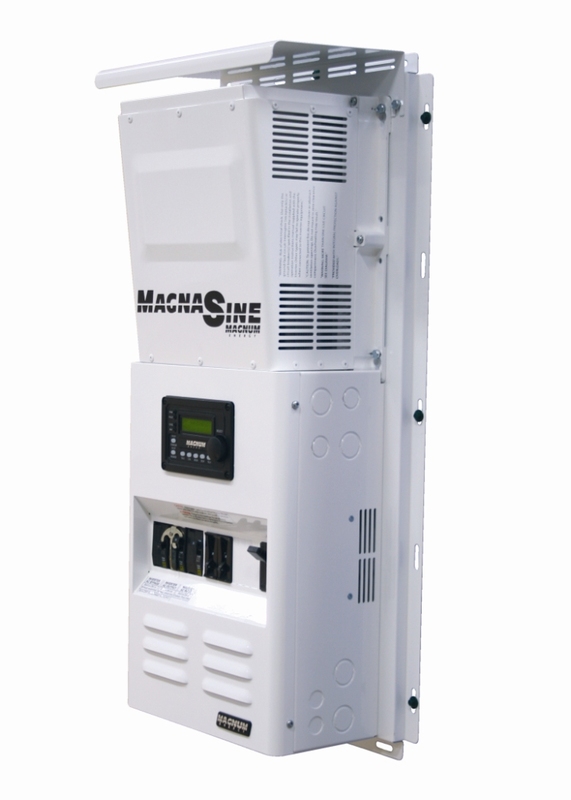 A Magnum MS 4024 PAE pure sine wave inverter feeds clean 120/240 VAC power into your electrical panel to power your loads. 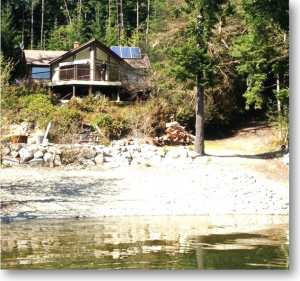 Installation is made easy with a solar mounting system and a pre-assembled inverte E-Panel. Pre-wired and tested Mini Magnum MS4024PAE 120/240VAC Inverter Power Center is ready to mount on the wall. It comes equipped with a Magnum Energy MS4024PAE 120/240 sinewave inverter a Mini Magnum Panel pre-assembled with necessary components. The MMP - Mini Magnum Panel - is an inclusive, easy-to-install panel designed to work. 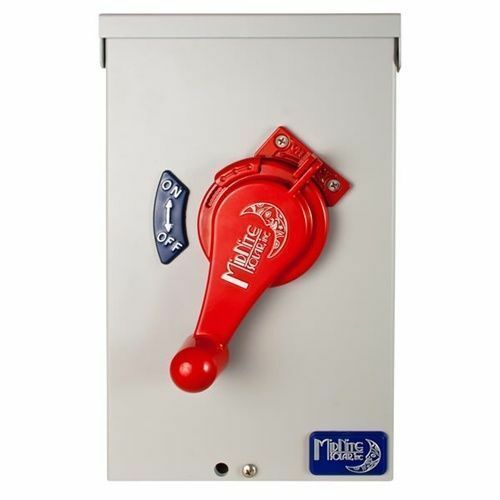 Features a small footprint and comes prewired for fast installation. Circuit breakers and the optional remote control mount on the front of the cabinet. A Magnum 4000 Watt 24VDC Pure Sine Wave Inverter 120/240VAC Output including the Magnum Advanced remote. The ME-ARC50 remote control allows you to monitor and customize the operating parameters for your Magnum inverter/charger. The MMP (Mini Magnum Panel) is engineered to combine the ease and cost savings of a pre-wired, factory integrated system with the flexibility of a single person, field installed power system. The self-contained enclosure system is convenient and space saving, reducing installation time and cost compared to a conventional approach using multiple interconnected components. Includes a built-in AC bypass switch with full system current capability, and a DC disconnect breaker for safe and easy servicing of the inverter and/or battery bank. Electricity 24 hours a day –without the noise of a generator! Also mounted on the side will be the Midnite Solar Classic-150 MPPT Charge Controller, for more information on this controller Click Here. 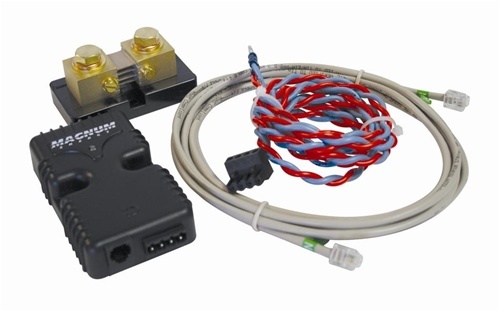 The ME-BMK (Battery Monitor Kit) from Magnum Energy gives you a “fuel gauge” type of meter for your battery bank. It monitors the battery bank and reports the percentage state of charge, real time amps, voltage, amp-hours in/out, and the minimum/maximum DC volts. 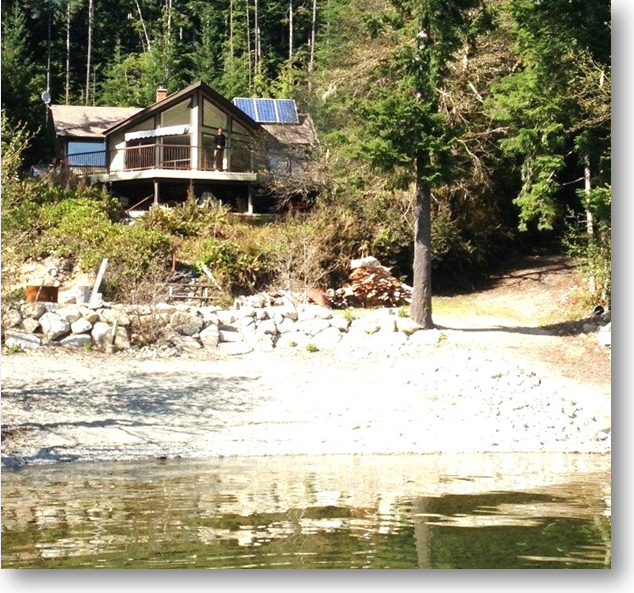 Pre-Wired and Bench tested before going out the door by an actual electrician who is fully licensed and very experienced with Off-Grid systems. Add Rolls By Surrette batteries for a complete system.